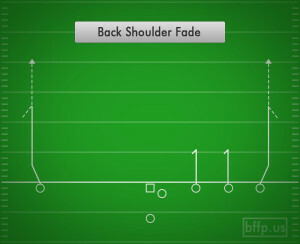 The Back Shoulder fade is a go-to play for goal line situations. 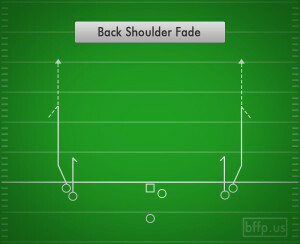 It gives the Receiver two options to chose from based upon how the defender guards him. 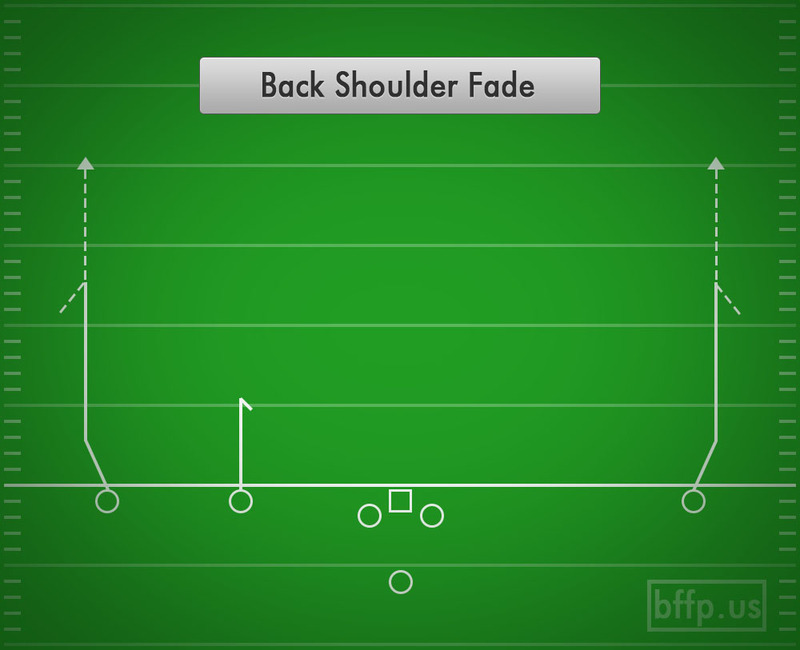 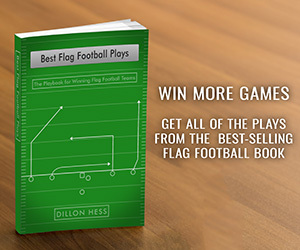 If the Cornerback is guarding deep, then the Quarterback can throw the ball short, but if the Cornerback is play up close, then the Quarterback can throw the ball over the top. 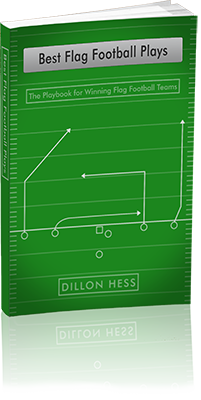 Communication and chemistry between the Quarterback and the Receiver is of the utmost importance. 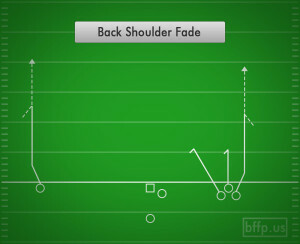 Both the thrower and the route runner need to be on the same page to execute this play properly. 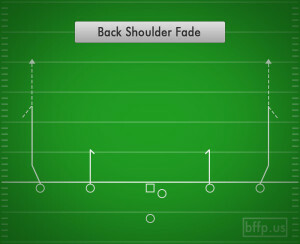 Great chemistry will lead to great results on the Back Shoulder fade.